For Sylvie. Blessings for you Sylvie <3. Wallpaper and background images in the KEEP SMILING club tagged: sylvie friends friendship karen blessings. Oh Karen, thank you from the bottom of my heart ! 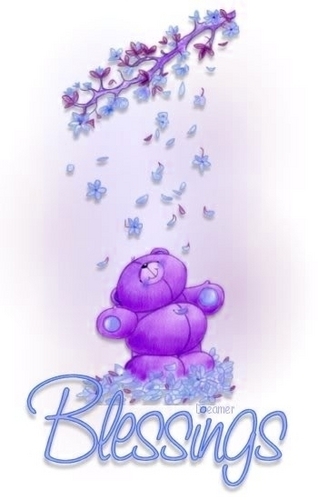 A purple Teddy Bear ! I adore it, and I adore you sweet friend ! That's so sweet from you to colored him in purple ! You know me so well... Ooops !